Methamphetamine use is a rare cause of intestinal ischemia but is of clinical significance due to its high morbidity and mortality. Knowledge of methamphetamine-induced intestinal ischemia has been limited to few case reports. International Journal of Surgery case reports describe the case of a 48-year-old man who presented with ischemic bowel related to methamphetamine use. With concern for intestinal infarction the patient was taken to the operating room for emergency laparotomy, which found a segmental gangrene of small bowel and colon. 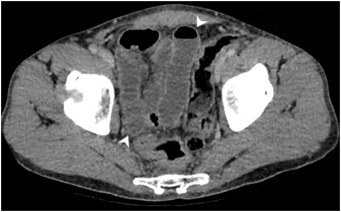 The patient subsequently underwent right hemicolectomy and small bowel resection for damage control, followed by second-look laparotomy and anastomosis. The patient recovered well from surgery and was discharged without complications.